One of the most used search phrases that bring readers to Neptune 911 is “save oceans.” That heartens us. Our oceans provide every other breath that we take. Healthy oceans are essential to our overall well-being, but they are in crisis and frantically dial 911. Trash gyres; entangled sea life from ghost nets; plastic infused bellies of fish, marine mammals and sea birds; the decimation of fish and marine mammal species for food; polluted fish that we eat; and, now headlines that read “Ocean acidification rising at unprecedented rate,” harbors a disheartening scenario for our seas. There are small things that both inland and coastal residents can do to help save our oceans. Stop The Plastic. When one of the world’s most endangered species, a North Pacific right whale dies from 400-pounds of plastic waste in its gullet, that is something you and I can help prevent. How? Consider that 117,669 pieces of plastic (ranging from bottle caps, plastic wrappers, cigar tips, plastic bags and bottles) were removed from Sandy Hook, New Jersey in one day, then multiply that by every beach in the world, that also amass trash from every inland river and creek in the world, plastics, which do not biodegrade, should have unwanted posters plastered on Post Office walls. 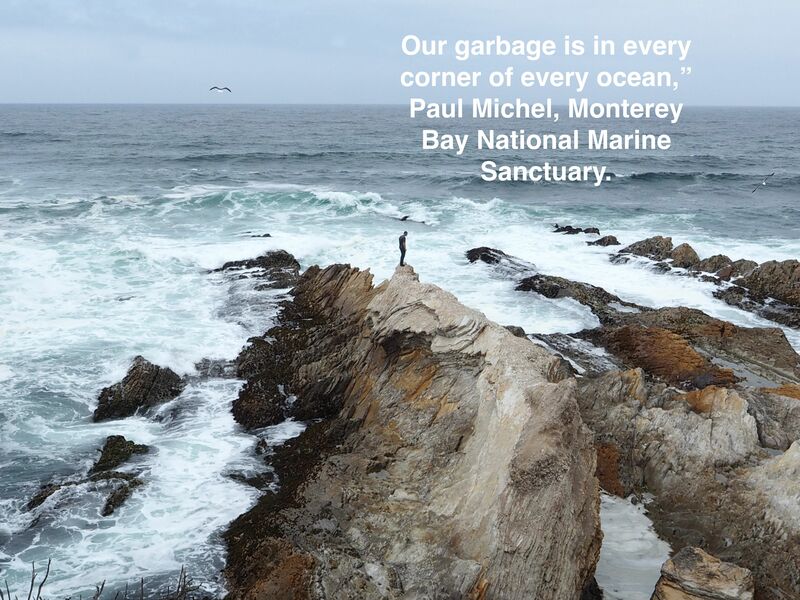 10,239,538 pieces of trash weighing approximately 7,446,130 pounds were removed, or prevented from entering, our waterways. Single-use paper and plastic bags, cigarette butts, fast-food wrappers, and discarded fishing gear are among the most common or damaging items found. 336 marine animals, including 138 birds, were found entangled in marine debris. Over 200 of these animals were tangled in fishing lines and nets — but 120 of them were found alive and released back to their natural environment! Properly dispose and/or recycle plastic waste, even itsy-bitsy tiny pieces. Instead of plastic bottles for drinks, try to find glass or aluminum containers. Chose soda drinks in cans, tea drinks in glass, etc. 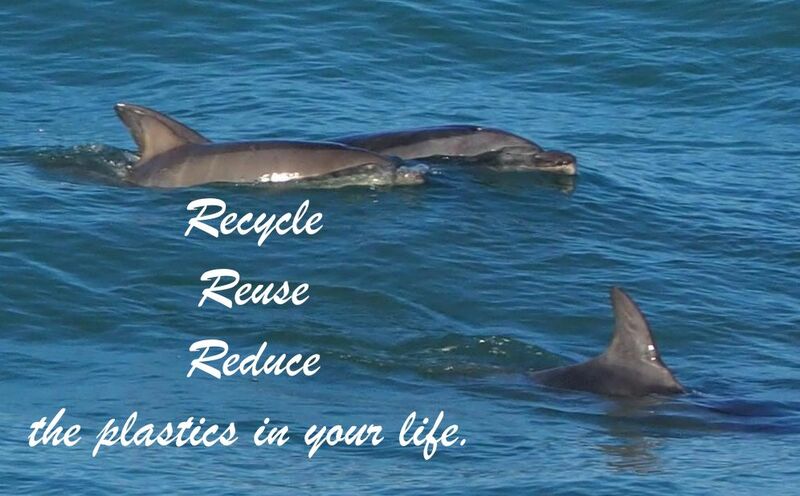 Decline that plastic bag when you shop. Just say no! Purchase fresh meats from the butcher section of your grocery store, eliminating the plastic wrapped meats in self-serve. Single items like onions don’t need a plastic bag. How about those old-fashioned wax sandwich bags for lunch packing? Ocean acidification. A recent McClatchy Newspaper release noted that “… the ocean absorbs more than 1 million tons of carbon dioxide an hour…(and) the level of acid in the oceans is increasing at an unprecedented rate and threatening to change marine ecosystems.” In other words, our oceans are 3o-percent more acidic than they were 200 years ago. What can you do to help slow this process? Reduce your carbon footprint. Eat less meat. Meat production is responsible for 18% of global CO2 emissions. Turn off unnecessary lights – even when you are at a hotel. How many power tools do you really need to clean up your yard? Turn your car off instead of letting it idle when not in transit.